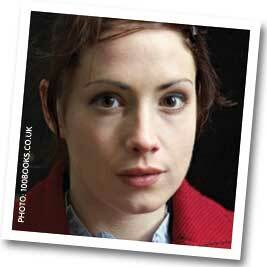 Lucy Prebble is an award-winning playwright who wrote her first play while at university in Sheffield. Her most-celebrated play Enron is about the collapse of the American energy group of the same name. She also wrote the TV series Secret Diary of a Call-Girl, based on Belle du Jour’s blog, which starred Billie Piper. And she likes research. I like research too, and to understand Rose Haldane in Ignoring Gravity I needed to learn about adoption. I read so many books about adoption, written by birth parents, adoptive parents, adopted children, adult adoptees searching for their birth parents: I read information guides on websites about how to adopt a child; how to search for your birth parents; what to say when… if… you should meet. It’s difficult: I immersed myself into this world which was alien to me, how could I ever write about this without feeling like an imposter? Empathy. And imagination. I empathised with the stories I read and re-read. And I took their situations and put myself there, and then I imagined. What if it was me? What would I do? How would I feel? Why had this happened to me? How come I didn’t guess the truth? Nicky Campbell’s Blue-Eyed Son, click here to read my review and learn more about Nicky’s search for his birth parents. And Paul Arnott’s A Good Likeness. He writes, “Instead of being Paul Arnott, 11/11/61, I was now Rory Brennan, 11/11/61.” It is compelling reading. Click here to read my review. I drew up my ‘adoption scenario’ and put Rose into it. Then I imagined how she would react. And then I started writing. The starting quote is really thought provoking. it is true, our favorite topics do change us! at least they are supposed to if we write from heart. Oh this makes me eager to read ‘Ignoring Gravity’! I think your research served you well – I found myself wondering if you’d been in that situation personally, since it was so well described.